DP! : So guys, how’s it going? You released your third full-length album ‘No Sanctuary’ last year. I know it’s something that a lot of bands say when they bring out a new album, but do you think this your best work to date? And why? M: This is for sure our best record. I think working with wade really paid off. We worked well together and had a damn good time in the studio. DP! : Hopefully the new album brings the success that it deserves, but what are you hoping to have gained from this new album cycle in terms of touring, etc? M: Well, thanks to Dave Shapiro we have a great record out now and the best tours to support it. We just did a short run with Hit The Lights and up next we got Europe with our boys in Four Year Strong. Then we will be announcing two very big tours for the spring and the summer. We couldn’t be any happier! DP! : Here in the UK you have a growing fan base, and it has been noted before that you love playing here. What is it about the UK that you guys love so much? M: We love the UK! The kids treat us very good there! Always like those pop-punk club nights. I kind of like not having a cell phone to distract me, and just get to enjoy time with the band and our friends from across the pond. Slam Dunk Festival last year were probably my favourite festival dates we’ve ever done. DP! : Two words: ‘Motown Classics’. How did that record come about? M: We just wanted to do a fun release, and wanted to do something that was different and showed what we like other then the genre we play. Plus, my grandmother loves it, so that’s a plus. DP! : It is clear that the pop-punk scene is buzzing at the moment, are you excited to be a part of this revival of good, honest music? M: Yeah. We’ve been part of this scene for over a decade, and we just genuinely like the music we play and the bands we share the stage with. This genre is a positive place for everyone who is involved, whether you’re a band or a fan to call their home. DP! : And who would you say is currently your favourite band in the scene? M: In our scene I’d say The Story So Far. We just did eight shows with them on the Hit The Lights tour. Great band and dudes… young and talented. DP! : What would you say has been your biggest achievement as a band so far and why? M: Leaving our country of America. Still blows my mind all the traveling we have done. We’re forever grateful and will never take it for granted. DP! : If you had to describe your band in 3 words, what would they be? DP! : Finally, just before we finish up, is there anything else that you’d like to add to share with our readers? M: Just keep supporting good music, take chances and think with an open mind! You can follow the band online on Facebook, MySpace and Twitter. NEWS: More supports confirmed for Four Year Strong Jan/Feb UK tour! FEATURE: A look into pop-punk throughout 2011 and its highlights! NEWS: Such Gold and A Loss For Words announce split release! 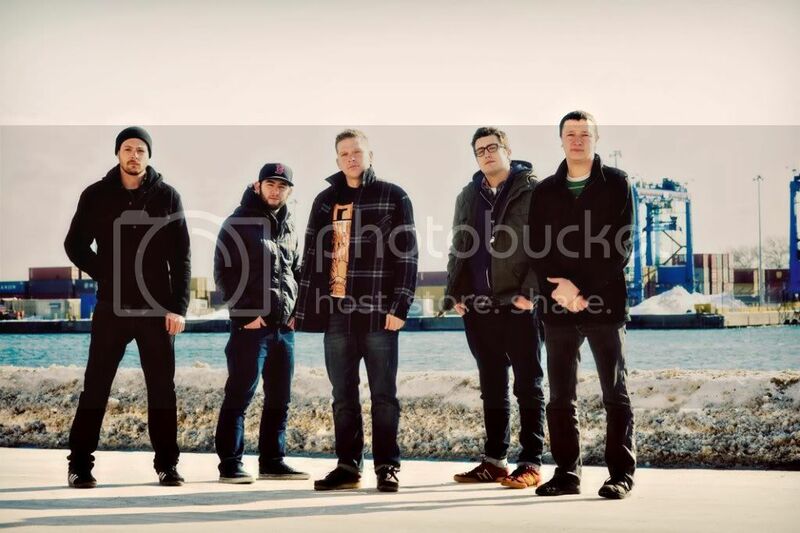 NEWS: The Wonder Years confirm headline UK tour run for May 2014! NEWS: Slam Dunk 2014 confirm further bands along with Wales and Scotland dates!